Environmentally Friendly„ San-Ai Corporation, U.S.A.
Marketing our proprietary products is an important goal of San-Ai, but we are looking out for the future generations as well. 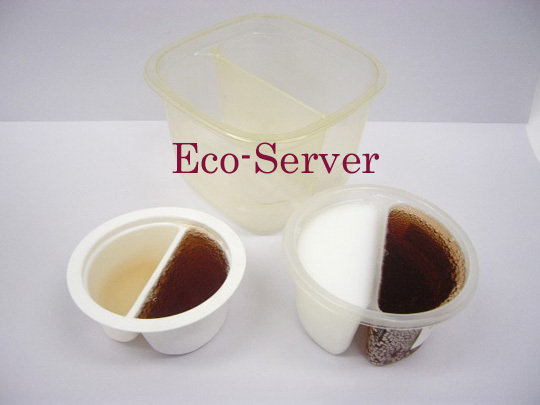 Our latest product, the eco-cup is a convenient dispenser system, which delivers on demand condiments for hot or cold beverage consumers, with 1/2 the waste of a typical one-time-use dispensing system. This example is one of the many new environmentally friendly product designs San-Ai will be introducing to the North American marketplace in the year 2004 and beyond! !